Bigfoot uses the iPhone X fluid design to offer a great user experience. Check out your profile, achievements, and friends right within the app. With HealthKit integration, you can track your runs right within the app. Bigfoot is companion app for Salesforce Trailhead. The general idea is that Trailhead trains your mind with learning content, and Bigfoot trains your body by offering running challenges, some of which are only unlocked once you receive certain Trailhead ranks. The design is influenced by the National Park theme of Trailhead. 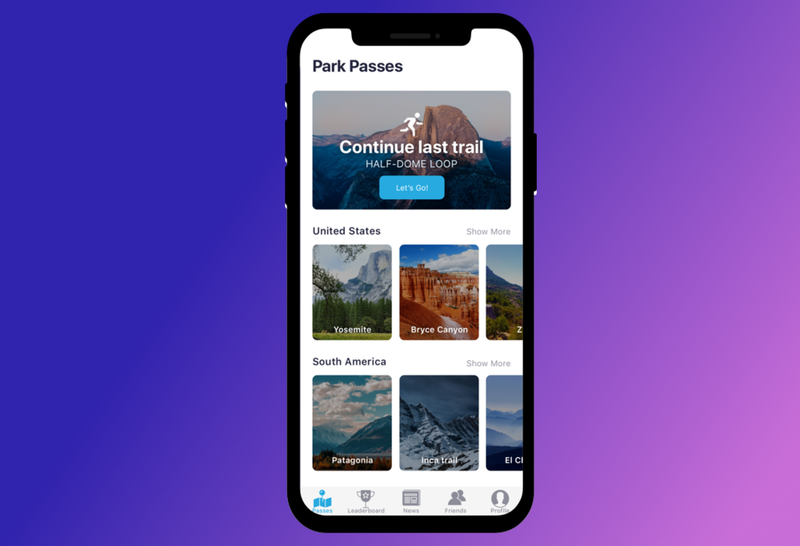 Users can run famous trails and parks from around the world whilst competing against their friends to run the furthest, all whilst using HealthKit to track your distance and fitness goals.